This is a 1940 Cartoon by Bernard Partridge! The size of the cartoon is approximately 8.5x11inches. 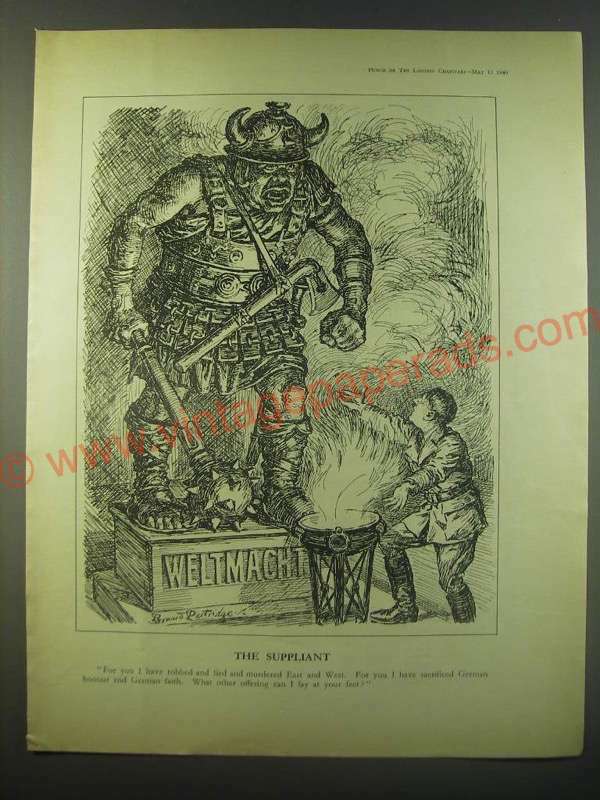 The caption for this cartoon is 'The Suppliant For you I have robbed and lied and murdered East and West. For you I have sacrificed German honour and German faith. What other offering can I lay at your feet?' The cartoon is in good overall condition, with some light wear. This vintage cartoon would look great framed and displayed! Add it to your collection today!